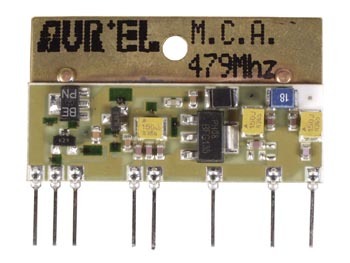 Linear CATV circuit for high quality audio-video signal amplification, operating on UHF Channel 22. The RF input signal can be derived from an audio/video modulator [ideally with mod. MAVUHF479]. Output can be received with any standard TV receiver.